On Wednesday evening, I was thrilled to attend Holly Becker from Decor8’s book launch of her new book Decorate at Liberty in London. 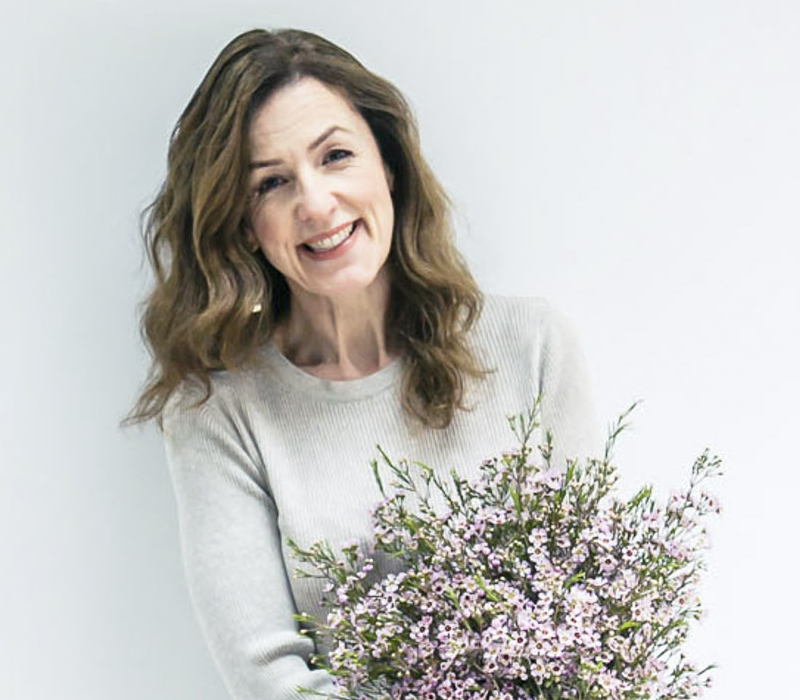 For those of you who are not familiar with Holly, she’s an American living in Germany who writes a very popular blog called Decor8. With over 35,000 readers daily, Decor8 is a site dedicated to sharing decorating ideas, beautiful interior spaces, plus independent art and design. 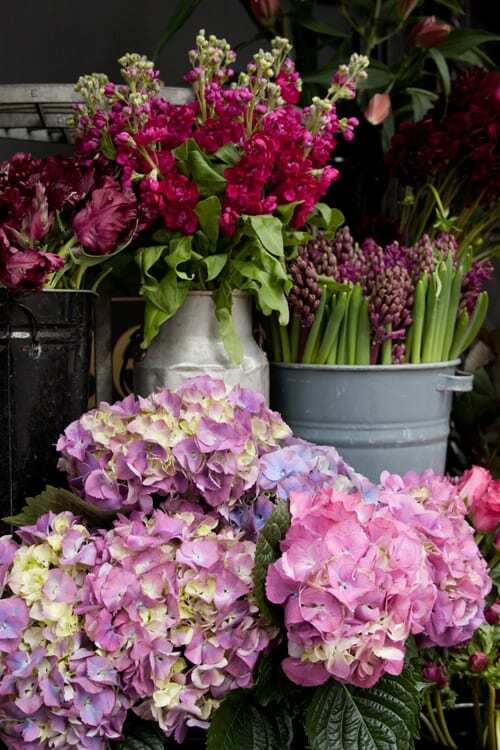 I first heard about Holly when attending Fiona Humberstone from Flourish’s Blogging workshop last year. And as a result, I took part in Holly’s Blogging Your Way e-course last October…which was amazing. I’ve since followed her blog avidly and it was such a pleasure to finally meet her in person this week. She was in London to launch her new book, Decorate, which she’s written with Joanna Copestick. 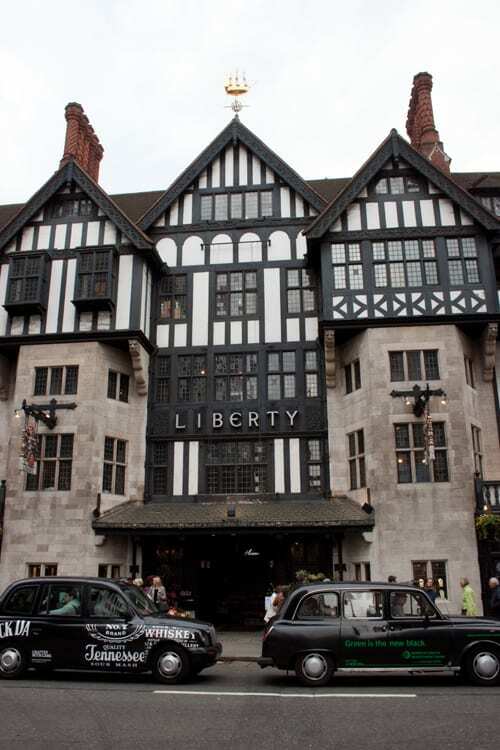 The event took place at the quintessentially English design emporium, Liberty. 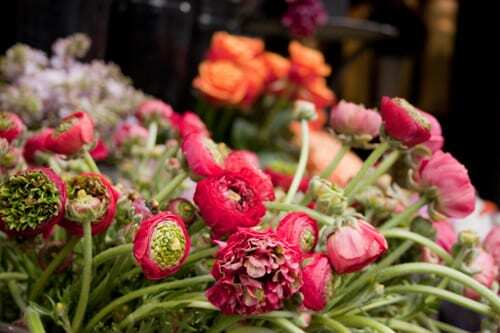 And today’s post includes images of Liberty and beautiful flowers from the Wild at Heart shop there. 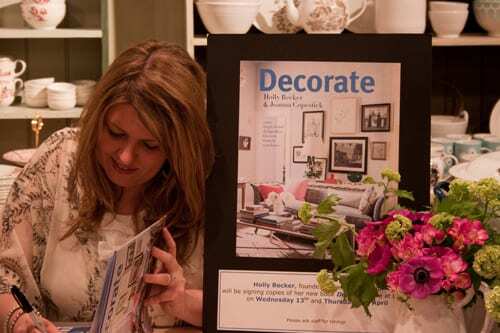 At 6pm, I was lucky enough to get a place at the Decorate talk which Holly was giving prior to a demo and book signing. There, Holly explained that the essence of Decorate was to take homes from all over the world, from the US to Japan and show readers the new emerging trends in interior design. Holly’s dream since she was growing up was to write a book. When she was a child, she used to write books and illustrate them, then hand them out to her dolls and bears, after which she’d sign them. And now she was in Liberty to sign her very own interior design book! Holly was asked how she chose which homes to feature in the book. She said that she initially drew up a ‘wish list’ from people she’d written about on her blog and contacted them. She said that it felt quite surreal then being in the homes of these people that she so admired…and which she was now styling for photos, taken by Debi Treloar. Through each of the homes featured, there is a golden thread…all the houses in the book are light and bright spaces with a touch of quirkiness. Some may have an accent wallpaper or colour. Most important to her though was that each home was representative of its owner. In total, she interviewed eighty people and was involved with location research and booking the homes. She said it was wonderful to collaborate with so many talented people and to be able to bring her online spirit into one book. Decorate has different book covers for different market places. And funnily enough the UK cover is of a US home and vice versa. Jacqui Small, the publisher, explained that this is because people want to see something fresh and different to the norm. Holly said that her audience and her roots are very important to her. And she is very grateful that they have given her the opportunity to write this book with Joanna. It has way exceeded her expectations. Holly’s advice to new bloggers? Write about things that you’re passionate about, do things you enjoy, and get out and about. Plus be authentic, consistent, present and write from the heart. And what of her plans for the future? Well, blogging on Decor8 of course, and also potentially collaborating on another book with Leslie Shewring of the beautiful blog, A Creative Mint. Tune in on Monday for my post about the rest of the evening with lots of images of Holly, Leslie Shewring and Sania Pell’s stunningly styled dining table for a spring lunch. And in the next few weeks, once I’ve read the book, I’ll also be posting a review of Decorate. So disappointed I couldn’t be there! Looks like you had an amazing time! It was a real shame you couldn’t make it…It was such a lovely evening, but hopefully Holly will be over again this year. Lovely post! 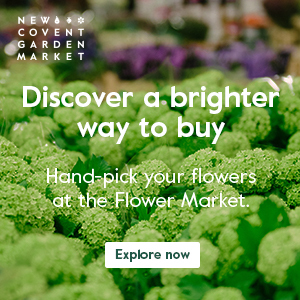 Really was a great evening – the flower selection there is divine!